Bruce Springsteen is on the cover of the new Uncut, which also includes features on Van Morrison, Mama Cass, The Stooges, William Burroughs and The Damned. For our exclusive cover story, Rage Against The Machine’s Tom Morello, who had such a lead role on High Hopes, took a break from recent tours of South Africa, Australia and New Zealand to report direct for Uncut from the heart of the Springsteen camp. He tells us how he first became friends with Springsteen and after guesting at various shows eventually ended up playing full time with the E Street Band as one of four guitarists, alongside Bruce, Nils Lofgren and Miami Steve Van Zandt. As well as a fascinating insight into how Springsteen works – spontaneously, a lot of the time, apparently, which keeps everyone on their toes – Morello also looks at Springsteen’s self-adopted role as a modern protest singer, in the tradition of Woody Guthrie, Pete Seeger and the young Dylan, which we’ve supplemented with a Top 30 of Springsteen’s greatest political songs. We also take a new look in the issue at Van Morrison in the 70s, specifically the circumstances that inspired his neglected 1974 masterpiece, the mystical and ravishing Veedon Fleece. Mama Cass, “the Queen Of Laurel Canyon” is meanwhile remembered by Graham Nash, John Sebastian, PF Sloan and Barry McGuire and on the 100th anniversary of his birth we celebrate the career of writer, addict, marksman and – yes! – rock icon, William Burroughs. Elsewhere, we meet Super Furry Animal’s Gruff Rhys to find out more about his latest project – a 200-year-old quest for a tribe of Welsh-speaking Native Americans, Neil Innes of The Bonzo Dog Doo-Dah Band and The Rutles answers your questions in An Audience With, The Damned tell us about the making of 1979 single, “Smash it Up” and Canterbury Scene veterans Caravan look back at their classic albums . We also have Stooges guitarist James Williamson on the ‘lost’ follow-up to Raw Power and we find out what happened to the rest of The Rockets after Neil Young made off with Danny Whitten, Ralph Molina and Billy Talbot to form Crazy horse. 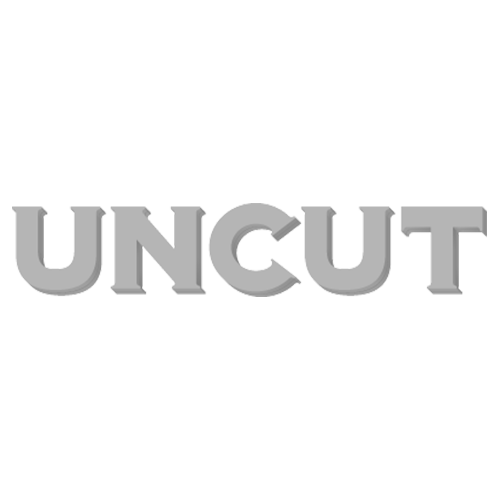 The Uncut Review is as usual bursting at the seams with great music – including news albums from Damon Albarn, The Delines, Hurray For The Riff Raff, The Afghan Whigs, Thee Oh Sees, and Ben Watt, plus reissues from Slint, Bobby Charles and Emmylou Harris. The new Uncut is on sale from Friday, March 28. Let me know what you think of it, if you have time. You can reach me at allan_jones@ipcmedia.com.